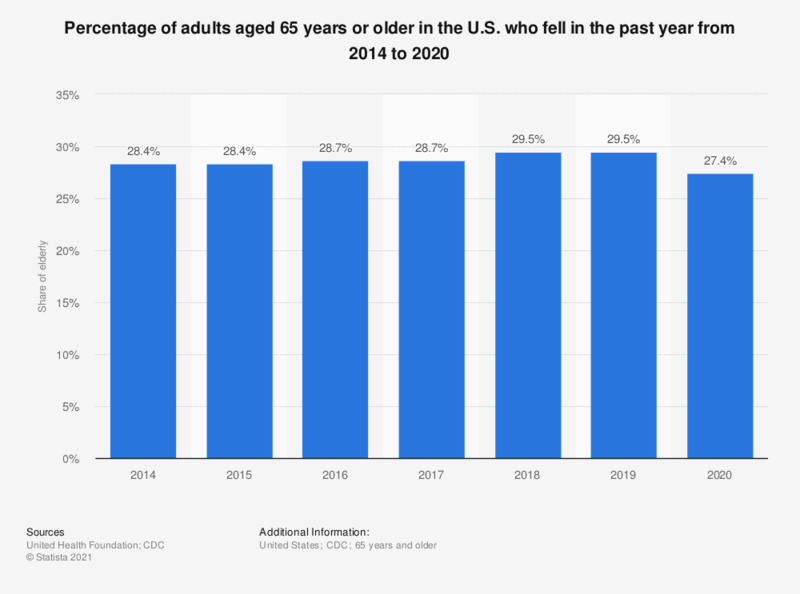 This statistic presents the percentage of adults aged 65 years and older in the U.S. who fell in the past year from 2014 to 2018. In 2018, it was estimated that around 29.5 percent of elderly adults fell. Figures from 2014 to 2017 were taken from the previous year's report and can be found here on page 56.